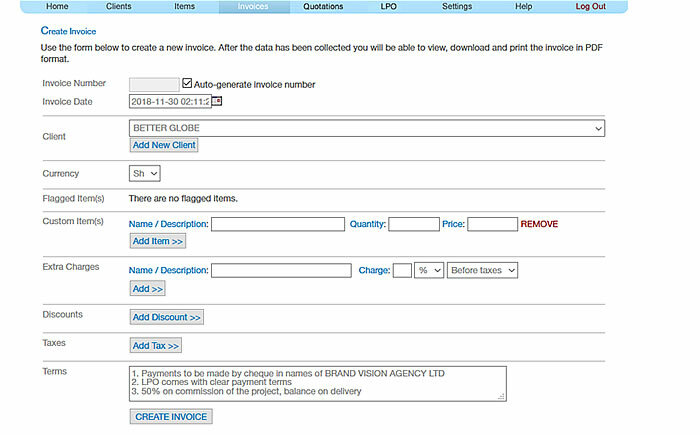 The Invoice manager is designed to help companies and organisations manage sales and clients. 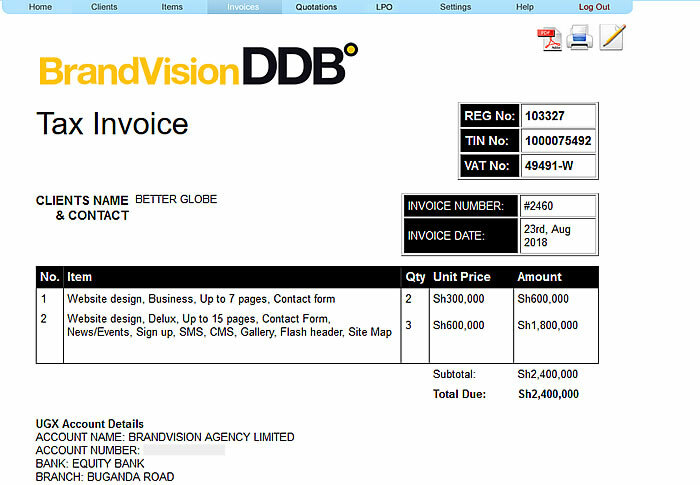 The system generates Quotations, Invoices, Receipts, stores transactions and creates sales reports. It also keeps a client database and can be accessed online in any part of the world once authenticated. 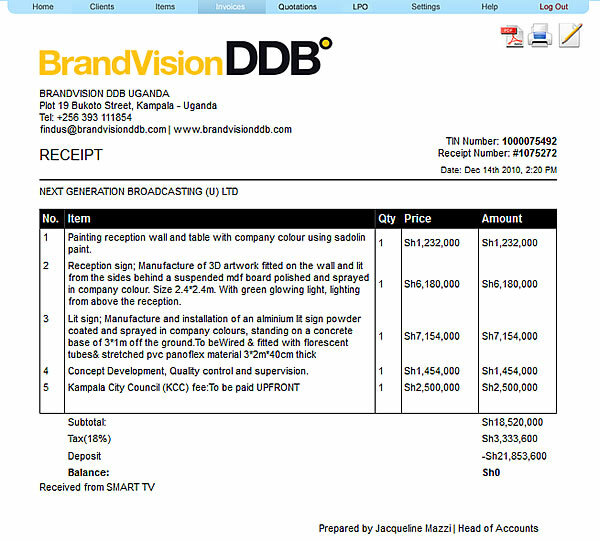 Below are screenhsots of some sections of the system. We can update any section of this system to suite your company needs. 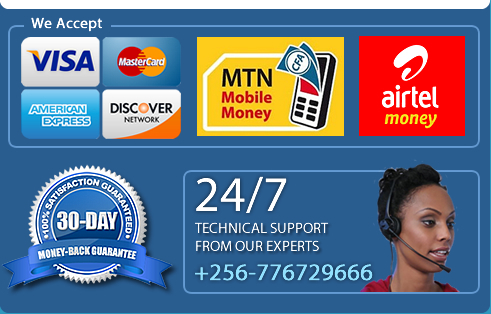 For a quote please or give us a call on +256776729666 and we will get back to you.